You are entering your second full week of 2016.. Now I want to talk to you about how to identify your time and money leaks. When you are not intentional about how you invest your time and money, this can create many pitfalls on your Journey to success. This week I want you to keep a journal of every dollar you spend. It could be gum, parking meter, gas, or even if you buy someone lunch. Keep all of your receipts and write your amounts down each night for a week. Do the same thing with your time. Track your driving time, tv time, social media time, texting, talking on the phone, cleaning, cooking. Throughout your day, write these times in your journal for one week. Doing this exercise will show you how you are spending your money and time…two valuable resources you need on your success Journey. At the end of this exercise you will identify some real money and time leaks. 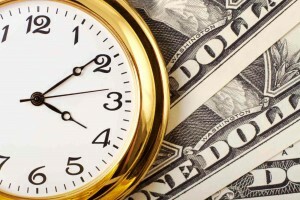 You will find that you’ve been wasting a lot of money and time…instead of wisely investing your time and money. Once you get a handle on this, you will free up more money and more time. Then you will need to decide how to use that new found money and time in ways to effectively build more wealth and relationships with the people you love…including yourself. If you really want to find more money and time leaks, do this for 30 days. I’ve had clients to identify as much as $1500 a month that was being wasted on non essentials and they found more time for family and rest. Remember, success is a Journey, not a destination.